Roland EGX Pro engraving machines have the power, size and speed professional engravers need. 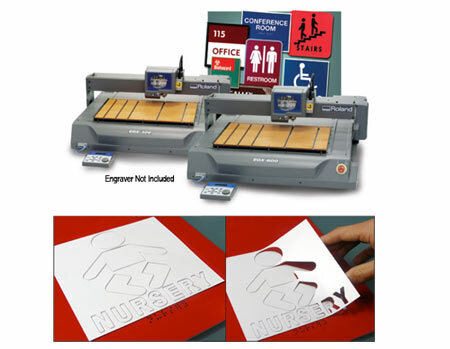 In addition to personalized awards, signs and promotional items, you can pair your EGX-400/600 engraving machines with a Roland ADA Kit to produce quality indoor and ADA-compliant signage. The EGX-400/600 ADA Kit is complete with both a Manual and Auto-Raster Pen that dramatically speeds up production time.